The Egyptian Football Association announced their full support to Al Ahly after the club was recently hit by a two-match suspension for team striker Walid Azarou and a fine. CAF decided to punish Al Ahly after the first-leg of the Champions League final match by suspending Azarou due to an unsporting behaviour during Esperance clash, while coach Patrice Carteron, who was seen close to Azarou during the incident he was accused of, was invited for a hearing regarding allegations of another unsporting behaviour. The Red Devils decided to complain against the decisions and the Egyptian FA, led by chairman Hany Abou-Rida, backed the club’s appeal. 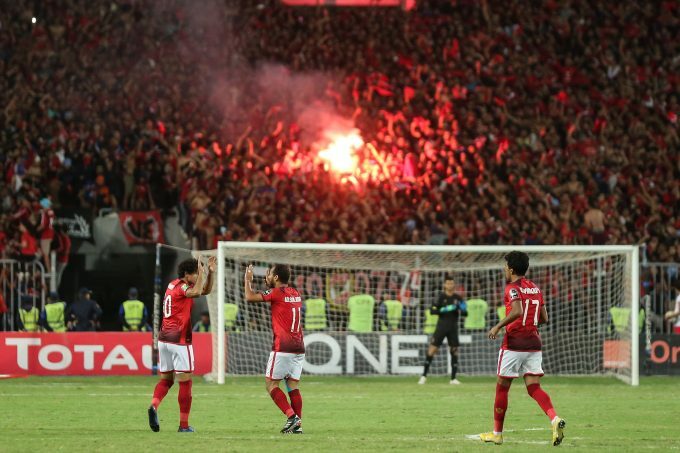 Egypt FA said in an official statement that Al Ahly and their fans were keen on welcoming their Tunisian counterparts when they were guests in Egypt during the Champions League final. “We are confident that Al Ahly and their fans will also be welcomed and supported by Tunisian champions Esperance Sportive de Tunis during the return-leg,” the Egypt FA stated. Al Ahly argued that Azarou was banned for two matches although he was never condemned or warned by the match official, aside from the official match videotape which did not include any condemnation against the player.